Artists in early nineteenth century England celebrated nature at its most humble, and its most grand. Landscape painting was considered lowly subject, but Constable gives them the six-foot treatment. Can you paint a portrait of place? Constable makes a case for it with this idyllic depiction of a country estate. Fancy a trip to Tate Britain? 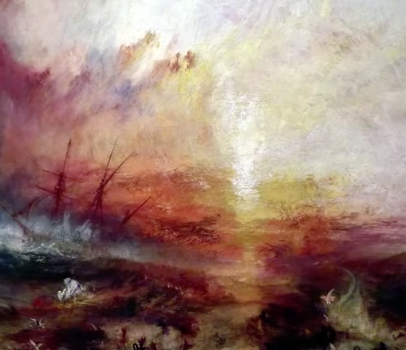 Visit the largest collection of work by Turner anywhere—no passport required. Refusing to idealize, Constable fills his landscapes with the specificity of a fleeting summer day. Fuseli’s fairies resist his era’s embrace of the rational in favor of the emotive and fantastic. In a time when horses were the fastest mode of transit, the railroad was as radical as Turner’s abstraction. People paid to see this apocalyptic painting performed with light and sound—as much theatre as work of art.